The kinkajou, also called the sugar bear and honey bear, is a mammal that lives in tropical and rain forests. 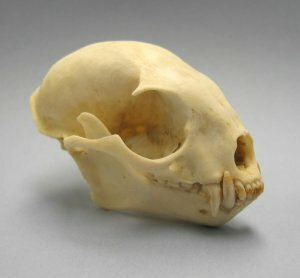 This animal belongs to the family Procyonidae and is related to coatis, the ringtail, raccoons, cacomistle, and olingos. 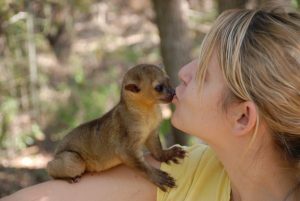 A kinkajou resembles a monkey or a ferret, although it does not have any close relationships with either. 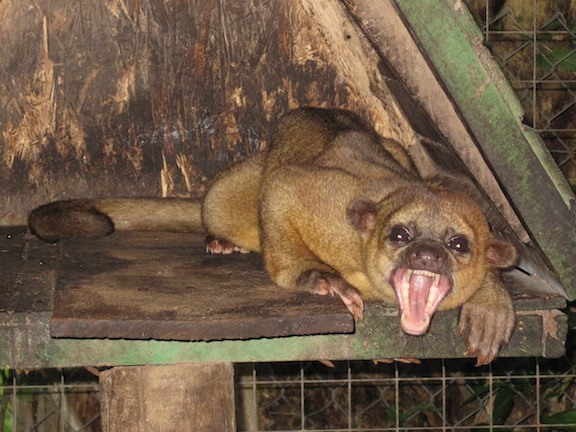 Kinkajous are hunted for their meat, fur, and for pet trade. Size: The adults measure about 16-24 inches (40-60 cm) in length while the tail measures about 16-24 inches (40-60 cm). Fur: These mammals have woolly fur that contains brownish-gray or golden outer coat partly covering the gray undercoat. Ears and Eyes: Kinkajous have small ears and large eyes. Legs: These have short legs and each foot consists of five digits and sharp claws. 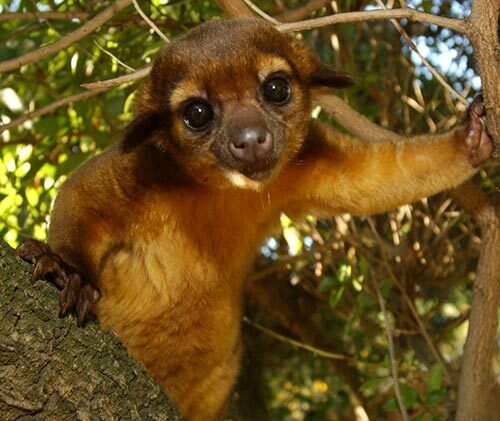 The kinkajou ranges from the southern and eastern parts of Sierra Madres, throughout Central America, Bolivia, and Atlantic Forest in southeastern Brazil. These animals can live at an altitude of 2500 m from sea level. They live in high branches of tropical forest canopies are found in secondary forests, gallery forests, dry forests, montane forests, and lowland rainforests. They are nocturnal and arboreal, being quite hard to spot and study. Instead of coming down from high branches, they prefer to travel from one tree to another via overlapping branches. They find a crook or hollow in a tree for hiding or sleeping during the day. They may use either a new place or the similar spot each day. A number of kinkajous have been observed to build nests in palm trees instead of using a tree hollow. These mammals live a “solitary group-life”, i.e. they live alone, but may join others within their group during feeding. Sometimes individuals gather to socialize, grooming, playing, and sleeping together. When traveling alone or in small groups, these animals usually stick to their territory and use the similar route every night. Since these are nocturnal animals, they are mostly active after 7 PM, ending their search for food to return to their safe resting spot before sunrise. Despite being categorized as carnivores, these animals’ food comprises mostly of fruits. They enjoy eating figs and other ripe fruits. 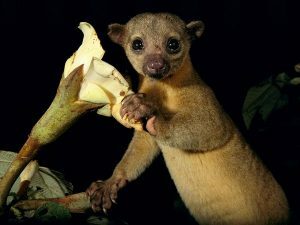 For eating the softer fruits, kinkajous use their forepaws for holding the fruits and then scrape out the pulp by using their tongue. Apart from fruits, they eat different kinds of herbs, leaves, and flowers. They sometimes feed on small vertebrates, bird eggs, and insects. This mammal licks nectar from flowers and obtains fruits with its five-inch slender tongue. 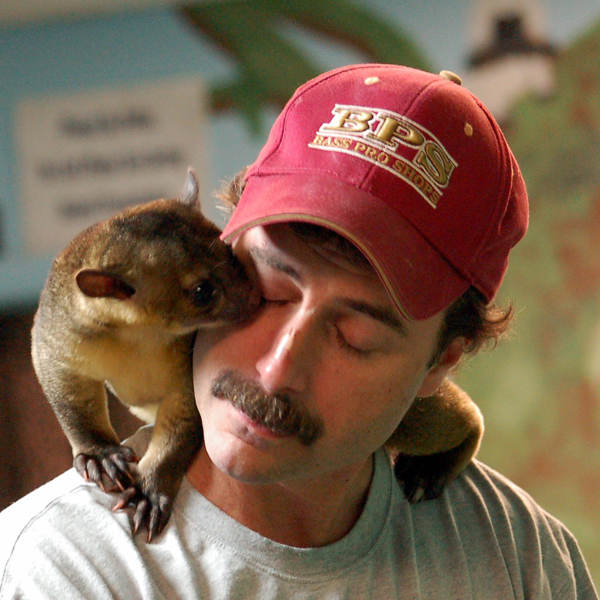 A kinkajou is noisy as it produces high-pitched barks, hisses, squeaks, grunts, and whistles to communicate. The kinkajous are threatened by different predators including foxes, margays, tayras, jaguars, ocelots, and birds of prey like harpy eagles. They have prehensile tails that is used for holding onto tree branches when reaching for food. The tail is also used to snuggle with when sleeping. The strong tail is used for balancing the body and the tip of its tail is utilized for turning the body and climbing back up its own tail. 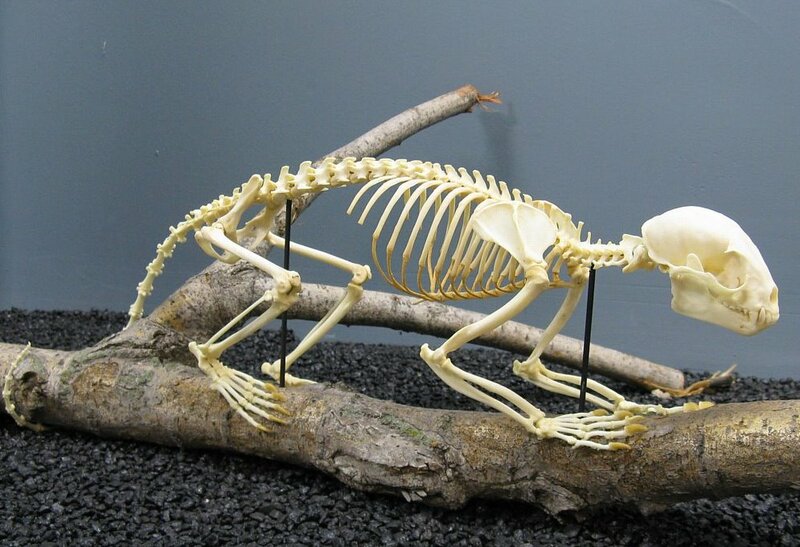 This mammal has a flexible spine that enables it to wind itself into tight spots. Kinkajous rotate the hind ankles for climbing down the trunk of trees headfirst. They have the ability to run backward by turning their feet in a reverse direction, enabling them to escape larger predators like margays, ocelots, and jaguars. They have scent glands located near the mouth, the belly, and on the throat. These glands enable them to mark their travel routes and their territories. These animals are known to breed throughout a year. The female kinkajous usually give birth to 1 or 2 offspring in a nest after a gestation period of 100-120 days. 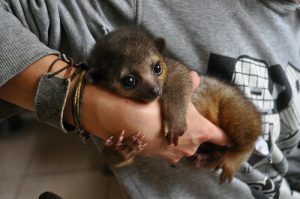 At birth, young kinkajous weigh about 55 grams (2 ounces). The mother leaves the baby kinkajou in her nest or hollow while she searches for food. They are born blind, opening their eyes for the first time after 1-2 weeks. The youngster’s tail becomes prehensile after 3-6 weeks. At eight weeks, the offspring starts eating solid food. At 3-5 months, the baby is weaned and they start climbing the branches with confidence. The males remain with their mother for about 18 months, while the females leave when they’re 2 years old. The males become sexually matured at 18 months, while the females attain sexual maturity at 2-3 years. On average, the captive kinkajous live for about 23 years. However, the maximum recorded lifespan is 41 years. Although there is not enough information about the wild kinkajou’s lifespan, they are believed to live for 29 years in average. Temperament: The slow movements and mellow manners of the animal makes it a snuggly and delicate pet. 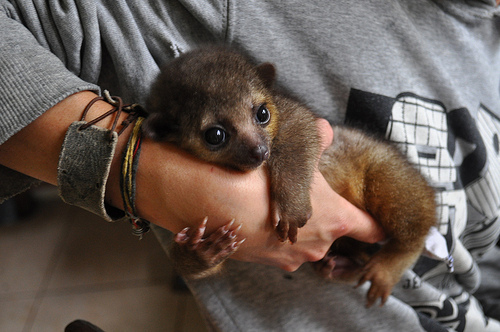 Kinkajous are quiet, docile, playful, and don’t have much odor. However, they can sometimes become aggressive. 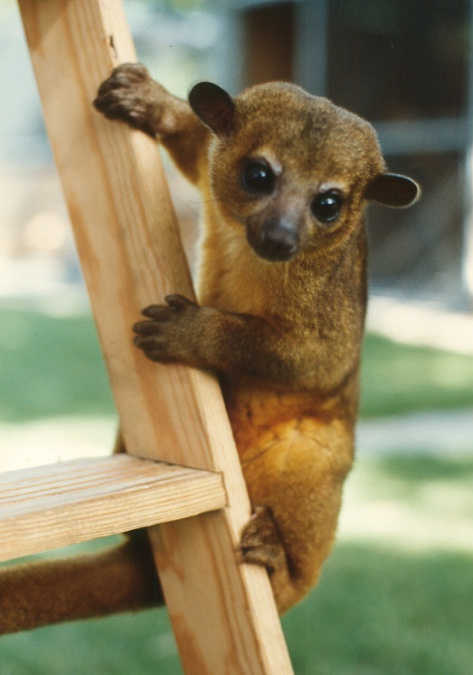 The agitated kinkajous may attack, bite deeply, and claw the victim. Cage Setup: The minimum size of the enclosure should be 4’X8’X6’. Those who reside in mild climatic conditions can keep their pet outdoors. This will provide them with adequate heat in winter. A normal sized cage is usually priced at 200 dollars. 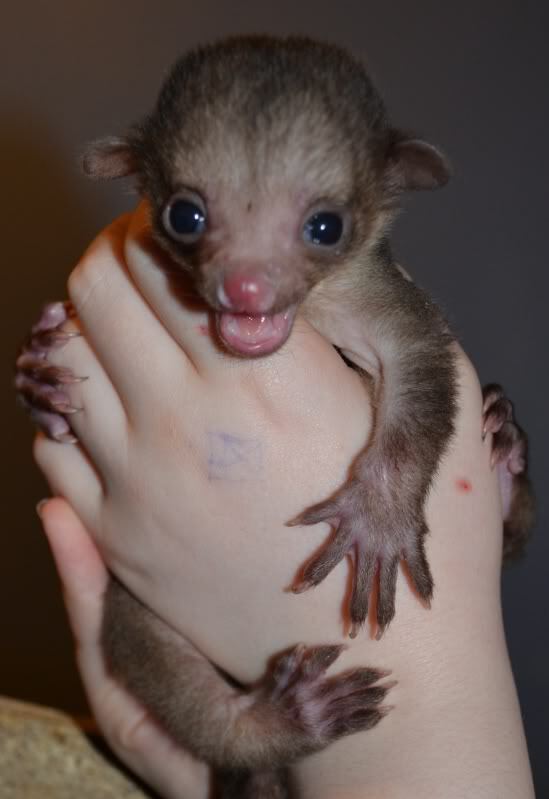 Training and Exercise: The baby kinkajous are not aggressive. They should be kept outside of their cages so that they can play for several hours. Litter training is difficult as they like to climb high places and conceal themselves in nests or hollows. However, as they tend to return to the same spots everyday, the owners will know where to keep the mats for catching their droppings. Sleep: They prefer to sleep in hammocks and hanging pouches. Such hammocks are available for 20-40 dollars. Food and Diet: Kinkajous should be provided with fresh vegetables and fruits regularly. They also like eating monkey biscuits and other treats including dates, raisins, fig Newton, and graham cracker. Vaccinations: Kinkajous should be neutered with K/MLV vaccine for avoiding the canine distemper disease and other health problems. 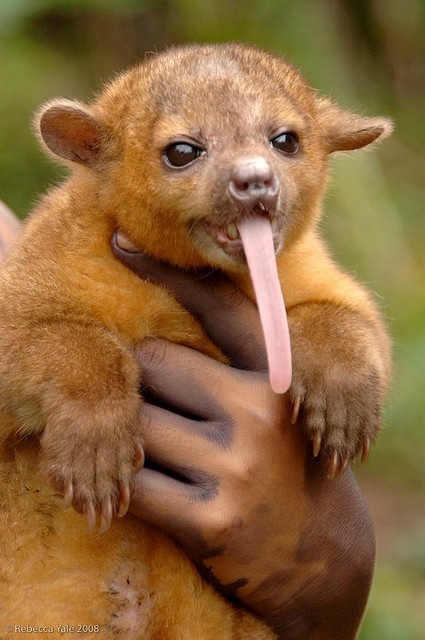 The kinkajou has been listed as “Least Concern” by IUCN 3.1. This animal gets its name “honey bear” from the fact that it invades the beehives in search of the golden liquid. They are naturally protected from bee stings as they have dense, short fur. 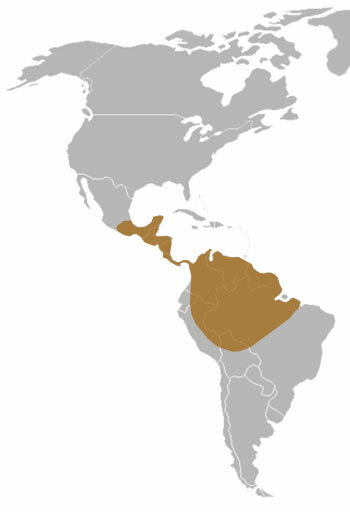 After its evolution in Central America millions of years ago, the animal invaded the formerly secluded part of South America during the creation of Isthmus of Panama. When the animal gets too hot, it exposes its bare-skinned palm and belly to catch a cold, refreshing breeze. Their high-pitched screeches and barks have earned them the nickname “la llorona” (a Spanish term meaning crying woman). People in Belize call these animals the “night walkers”. Kinkajous have sharp hearing abilities that help them to detect even the movements of a snake.